Culver Bulldogs boys basketball loses to Chemawa braves 75-30, Sheridan Spartans 83-33. The Culver Bulldogs boys basketball team had a tough week. 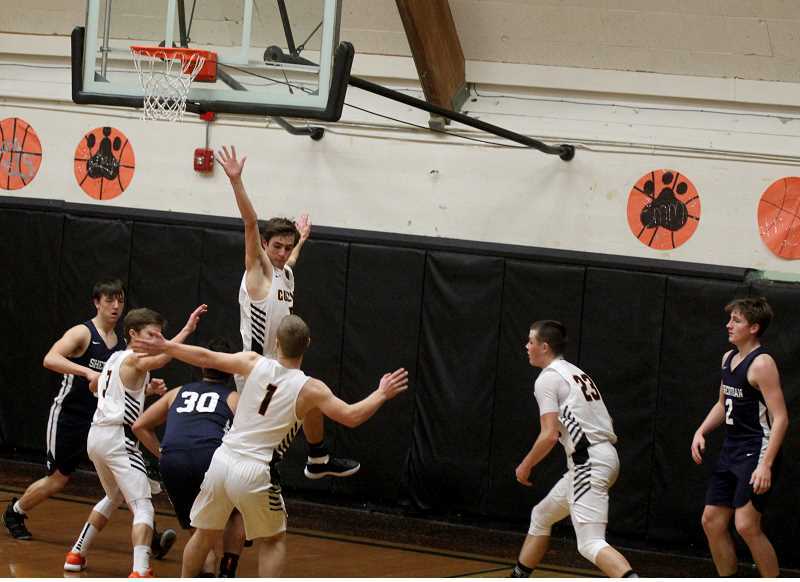 Fresh off winning their first league game since 2014, then winning another, Culver went on the road and lost to Chemawa 75-30, while also losing to Sheridan at home 83-33. In the Sheridan (16-3) game on Jan. 24, the Spartans took a 11-0 lead with around three minutes left in the quarter, before Kobe Lamb made a lay-in to break the ice for the Bulldogs. Culver entered the second quarter down 21-3 and with Sheridan refusing to stop their full court press, the Bulldogs went into halftime down 53-10. Cord Gomes was able to score 12-points in the second half and Jordan VanAlstyne scored 11points in the second half, but Culver still lost big to the No. 7-ranked Spartans. In the Jan. 22 game in Chemawa, the Bulldogs had trouble keeping the ball out of the Braves' hands. With several turnovers, Chemawa scored 33 points in the first half. The second half was more of the same. Culver couldn't mount any sort of comeback and lost by the 45-point margin. Gomes led Culver in scoring with 12 points, while VanAlstyne had three assists and Kobe Lamb added six rebounds for the Dogs. The Culver Bulldogs boys basketballteam travel to Santiam (14-6) on Wednesday and return home Friday to take on Colton (4-15). They also have an away game against Gervais (0-19) on Tuesday. All the games will tip off at 4:30 p.m.